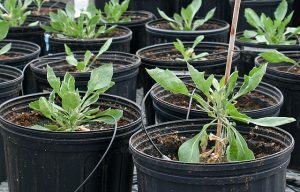 With the year drawing to a close, the U.S. Department of agriculture’s (USDA) Agricultural Research Service (ARS) is preparing for 2018 with renewed vigor, building on its scientific and technological accomplishments to date—from a food nutrient database that consumers can access with the click of a mouse to a natural tire rubber made from guayule, a small flowering shrub native to the southwestern United States. As the USDA’s chief in-house scientific research agency, ARS employs 2,000 scientists at 90-plus research locations across the country and overseas. Through research, technology transfer and information sharing, the agency’s efforts address agricultural issues of high national importance. These include food safety, consumer nutrition, environmental stewardship, rural development, natural resource conservation, and competitiveness in global markets. “The three technologies we’re highlighting represent the many achievements and advances our scientists have made towards realizing these national priorities,” said ARS Administrator Dr. Chavonda Jacobs-Young. “These technologies exemplify the spirit of scientific excellence and innovation that will continue into the New Year and beyond,” she added. Edible films and coatings—Oxygen exposure is a major cause of food spoilage. In 2017, ARS researchers found that wraps made from milk proteins like casein were up to 500 times better at keeping oxygen out of food packaging than traditional petroleum-based wraps. Scientists at ARS’s Dairy Functional Foods Research Unit in Wyndmoor, Pennsylvania, developed the casein films as a way to create new, value-added markets for U.S. dairy products. These films offer a renewable and biodegradable alternative for food wraps derived from petroleum, a fossil fuel with many competing end-uses and finite availability. The researchers’ latest refinements include making the films more water- and fat-resistant so they can be applied directly to cheese sticks, baked goods and candies. USDA Branded Food Products Database—ARS researchers in 2017 added information on nearly 140,000 food items to the Branded Food Products Database, which is managed by scientists at the ARS Nutrient Data Laboratory in Beltsville, Maryland. This database makes it easier to find nutrients contained in manufactured or brand-name foods sold in supermarkets throughout the United States. The database now contains information on 215,000 food items that can be searched by brand name instead of a generic description, providing users with a more complete picture of the variability in products and the nutrients they contain. The result of a public-private partnership, the database has generated more than 22 million page views by 1.6 million users since coming online October 1, 2016. The database also helps researchers in their investigations, including connecting changes in the food supply to public-health outcomes. “Home-grown” rubber—Tires made of natural guayule rubber earned high marks in a study that concluded in 2017, raising prospects for a domestic source of rubber. An ARS-led team of scientists developed an improved variety of guayule, a southwestern shrub that has been studied for nearly 150 years as a promising source of rubber and as a biofuel feedstock. 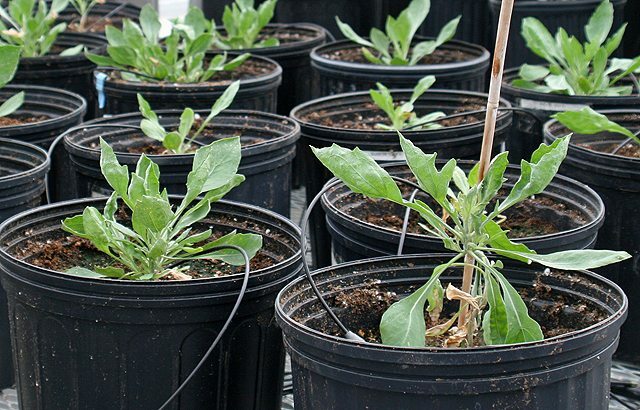 Until now, however, this drought-tolerant plant lacked the perquisite traits necessary for large-scale cultivation, including disease resistance as well as increased rubber and biomass production. The U.S. tire industry relies on 100 percent imported natural rubber, which makes up 80 percent of both high-performance and passenger (mileage) tires. These achievements illustrate just some of the many ways in which ARS research impacts Americans across the board-from producers and processors to consumers. To learn more about the latest ARS advances, visit the agency’s News and Events site here.